Two senior Democratic Party leaders have separately offered advice that Democratic activists would do well to heed. Outgoing California Gov. Jerry Brown and defeated Sen. Claire McCaskill (D-Mo.) have warned of impending dangers to a political party that seems a bit too cocky and way too secular. Democrats have become the party that pits racial and ethnic groups against each other in the name of equality, and openly disdains Bible-believing Christians. Brown and McCaskill recognize the dangers of pursuing ideological agendas that ignore the issues and concerns of mainstream Americans. Brown, whose state in 2018 had no Republicans elected statewide, recently affirmed his belief in the necessity of a strong two-party system. Democrats need Republicans to keep them honest and on their toes. McCaskill’s 2018 defeat was partially linked to her decision to vote against the confirmation of Justice Brett Kavanaugh to the Supreme Court. She has blamed pro-choice progressives for their refusal to give their elected representatives the latitude needed to make hard decisions. Average Americans who adhere to traditional values and beliefs often find themselves dismissed and derided by elites in the Democratic Party, who openly question their intelligence and sanity while mocking their faith. When it comes to race relations, white Americans confront a whole new world awash with concerns about fairness and worries about discrimination. Like all parents, the future of their children and grandchildren weighs heavily on their minds. Given today’s politically correct environment and the stern punishments inflicted on violators, the average American keeps his or her head down while the fears and frustrations fester. America has many problems related to immigration, and a general decline in values and principles once widely shared. Conditions affecting white Americans must be addressed and discussed in mainstream forums on college campuses, where the focus is instead on perceived “white privilege,” with no recognition of a new kind of white suffering. 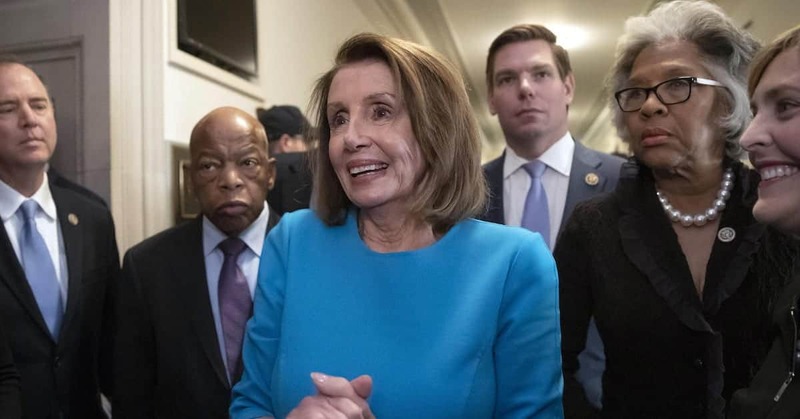 It behooves the Democrats to become more sensitive to the problems that President Donald Trump and Republicans have observed about race relations. Until we address the problems of minorities and whites, we will continue to be a divided nation with little hope of healing. The problem is not immigration: It’s the neglect of Americans and a penchant that Democrats have for using racial suffering to score political points. They make every issue a racial one. They allow its leftist wing to cast aspersions on non-minorities who raise legitimate concerns about racial double standards and the breakdown in law and order affecting the nation. Such a breakdown is best exemplified in the actions of groups such as Antifa and certain chapters of Black Lives Matter. McCaskill’s advice to Ocasio-Cortez was a polite way of reminding Democrats that white lives matter, too. If Democrats are to compete effectively for the votes of whites, there’s a need to respect and acknowledge them as people who have problems just like other races and ethnicities. Studies by Princeton economists Anne Case and Angus Deaton have documented rising death rates for middle-aged white Americans, who are experiencing early deaths from preventable causes such as drug abuse, liver disease, and suicide. These have been called “deaths of despair,” hitting people with a high school education (or less) the hardest. California is one of the states with a notable increase in the death rates of white Americans. Drawing attention to the suffering of whites is politically incorrect. It can be mentioned but not discussed too much. Thanks, Democrats. A 2017 study by Brookings Institution scholars Carol Graham and Sergio Pinto found notable racial differences between whites and minorities. Racial and ethnic minorities had higher levels of optimism and rising life expectancies. This was especially true for poor blacks familiar with disappointment and despair. By contrast, non-college-educated whites experienced hopelessness and rising mortality rates—more of them are dying, and dying young. Hopelessness among any group of Americans should concern us all. Ideally, we would want our political parties to work together to identify and eradicate the problem. We would have rising optimism among all marginalized Americans, whites and ethnic minorities. Our political parties need to work together to help create an environment where opportunities transcend race. Not every problem affecting minority communities can be laid at the feet of white people. Some of the problems affecting all races have to do with the spiritual health of the nation. 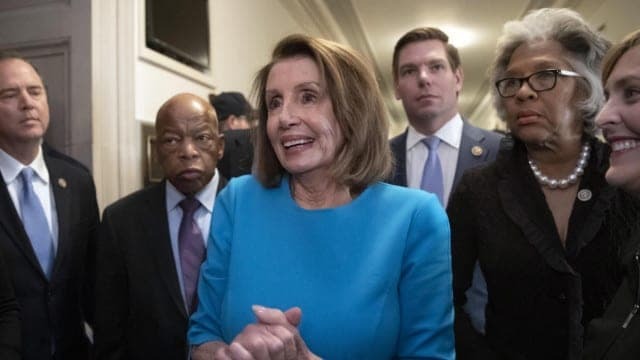 The leftist politics of the Democrats have created a more secular society that has stripped many people of the hope and encouragement that comes from a spiritual connection with God. Bowing to the God of secularism, America’s Judeo-Christian roots and its traditions are being stripped away with no real replacements in sight. Surely, we can do better.